Full time RVing is a lifestyle choice, not a vacation. Many people dream of retiring and travelling fulltime in an RV, but sometimes the reality is different from the dream. That doesn’t mean fulltiming isn’t possible, because it is. It’s a lifestyle choice that should be considered carefully before jumping in with both feet. If you're a couple, both of you must agree on the choice. This can be a difficult decision if both don’t have similar goals. It’s best to sit down and talk about your expectations. If you aren’t in complete agreement, it’s time to come to a compromise. If one of you isn’t sure, why not do a trial run—say for a year or six months—and then re-evaluate. It’s really important to remember living the full-time RV lifestyle is not a vacation—it’s a way of life. Those who retire to an RV sometimes don’t understand the difference until they have been on the road awhile. It’s common for new retirees to rush around constantly as if they were on a two-week vacation, trying to see and do everything as quickly as possible. Finances. The cost of full-time RVing is dependent on the amount of travelling that’s done, the price of the RV, parking fees, insurance, fuel, restaurants, groceries, medical and personal expenses. Some say it’s cheaper than living in a house, but it’s really up to the individual. Research where you want to go and what you want to do. Consider your budget and you should be able to come up with a plan that works for you. Planning. What will you do with your house and all of your stuff? Where will you receive your mail? 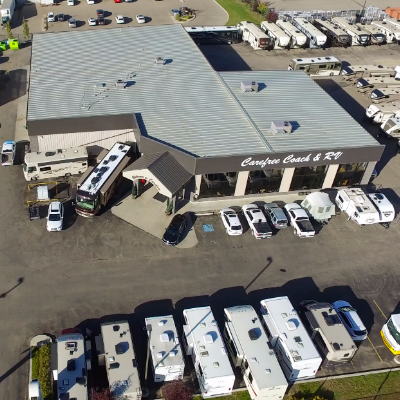 What type of RV do you want or need? What is your budget? How will you stay in touch with family and friends? What will you do if you have to hang up the keys? These are just a few of the questions you should ask yourself during the planning stage. The answers don’t have to be cast in stone, but you should have a clear idea of what you really want. How much travelling do you wish to do? Not everyone who is a full-timer does a lot of travelling, while some people move every few days. Many find that the first year or six months they do a great deal of travelling, until they realize they aren’t on a holiday and can travel in leisure without hurrying. The more miles driven the more expensive the travelling can be. Educating family and friends. Not everyone understands the full-time RVing lifestyle and that can make you second-guess your decision. Just remember, it’s your decision for your life. Once friends and family realize how happy you are and that they still can be in touch with you regularly, they will come around. 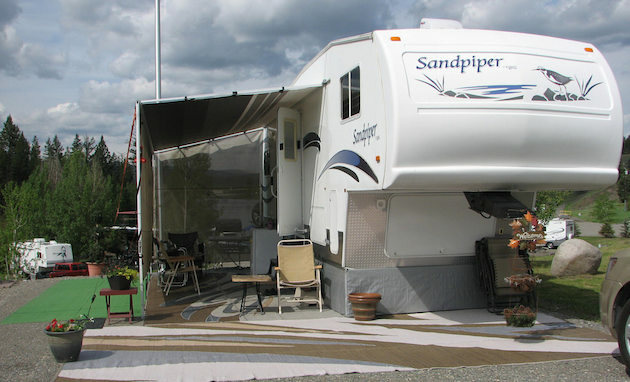 Visiting family members is easy, since you bring your home with you and have everything you need in your RV. No one is inconvenienced by having to give up their space, and you have a place for some quiet time if you need it. Challenges. One challenge to consider is adjusting to living in a small space with your spouse. However, many couples find they are much closer and really enjoy getting to know each other again. Maintaining the RV may be a new task for some and learning how to tow or drive their rig is another. The need for a home base can be a challenge, but it’s not insurmountable with a little ingenuity. Benefits. There are so many benefits to full-time RVing that it’s difficult to list them all, but the two main benefits for me are being mobile and living a simple life. The potential for living cheaper, meeting new people, experiencing new things and being open to new challenges is invaluable. 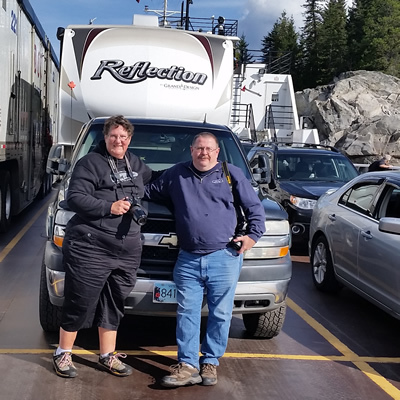 Living the full-time RV lifestyle as a retiree can be an exciting new adventure at the next phase of your life, so make it interesting and enjoyable. Happy retirement. It's lots of fun to attend an RV show, where you'll find everything under the sun related to your hobby.